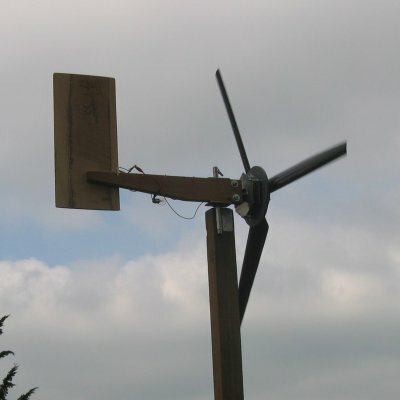 This was the first turbine I made having read various articles on the web. I wasn't aiming to make anything too large, just a wind turbine that could maybe charge a 12 volt battery on a boat or caravan. This was very much an experiment and very few calculations done before hand. The turbine and alternator were made with hand tools and an electric drill.